Grimsby (Scartho Road) Cemetery contains 281 scattered burials of the First World War, many of them seamen who served with the Auxiliary Patrol which operated out of Grimsby. Included in the total are special memorials to three casualties buried in Grimsby Old Cemetery where their graves could no longer be maintained. During the Second World War, boats of the Grimsby fishing fleet were attacked at sea, and the town and port were bombed many times, incurring casualties among servicemen as well as civilians. The cemetery contains 258 Second World War burials, almost 200 of them forming a war graves plot. There are also 17 war burials of other nationalities, many of them German prisoners of war from the camp at nearby Weelsby. Richard Roberts (<richard.nsw@googlemail.com>) has kindly provided a photo of this soldier's headstone, and a view of the cemetery in which it is located. Private Henry Alfred Tooley. TR/5/14118. 11th Battalion the Yorkshire Regiment, attached to 4th Battalion Training Reserve. Son of Alfred and Sarah Jane Tooley, of 213, Convamore Rd., Grimsby. Died at home 22 March 1917. Aged 18. 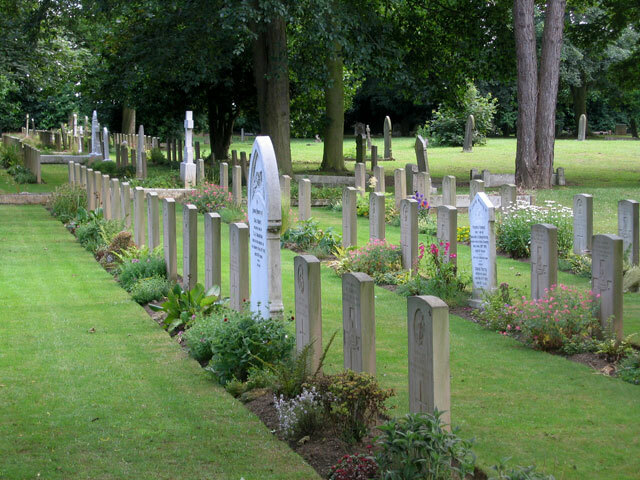 A plot of WW1 burials set in a pleasant tree lined avenue in Grimsby (Scartho Road) Cemetery. 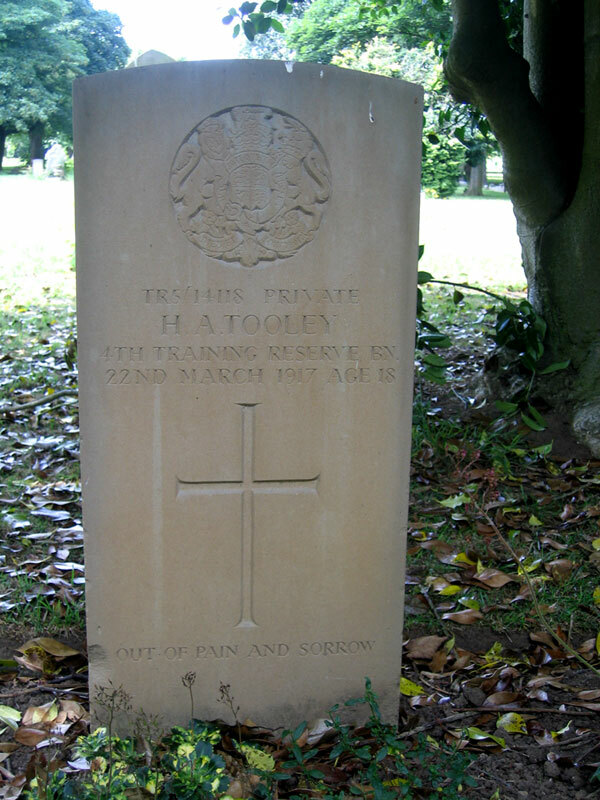 Pte Tooley's grave is nearby.